The Schumacher V2 Front Steering Spindle Set for the CAT family of 4wd buggies improves steering due to the increased outside wheel lock. This has reduced the ackerman and improves the cars performance on tighter tracks. 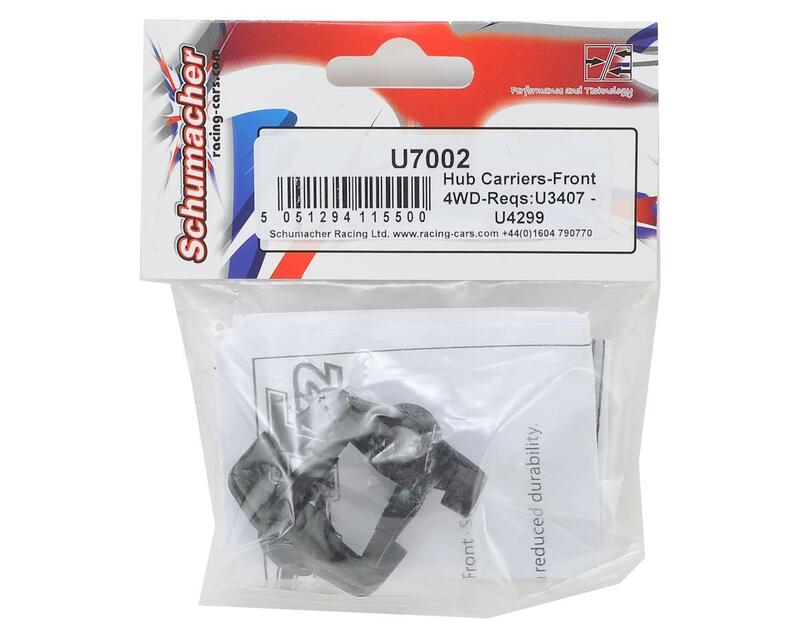 NOTE: When using SCHU7002 Hub Carriers V2 - 4WD you will need the following items. EITHER SCHU3407 -Wishbone V2; Front Med Flex-CAT SX/K1/K2 pr OR SCHU3597 - Wishbone V2; Front -Stiff - pr SCHU4299 - Turnbuckle HT - Touring 52mm - pr The team generally use the SCHU3597 stiff wishbone which offers greater response but with a reduced durability. 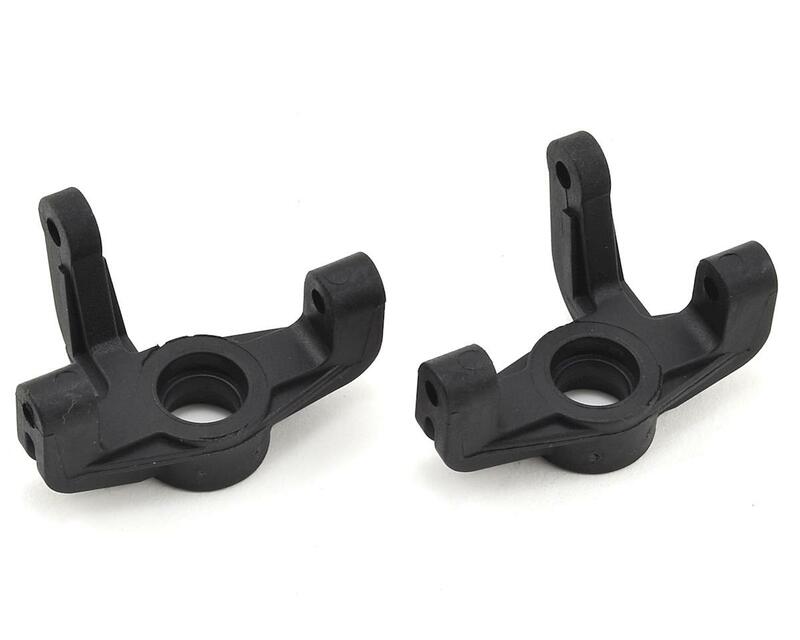 SCHU3407 is a much more durable wishbone and can help on bumpy track conditions.